Nifty opened flat to negative and stayed in a very narrow range waiting for the new RBI governor Raghuram Rajan’s monetary policy. As soon as the Monetary policy was announced, which saw the repo rate going up by 0.25% on inflation worries, the market went down by around 200 points from the top to see the lows of the day at 5933. Some value buying at the lows say the index close at 6012.10, still a huge loss of 103.45 points. The broader was very negative, with just 432 advances to 887 declines. The Option Table range now till expiry could be 5800-6100. 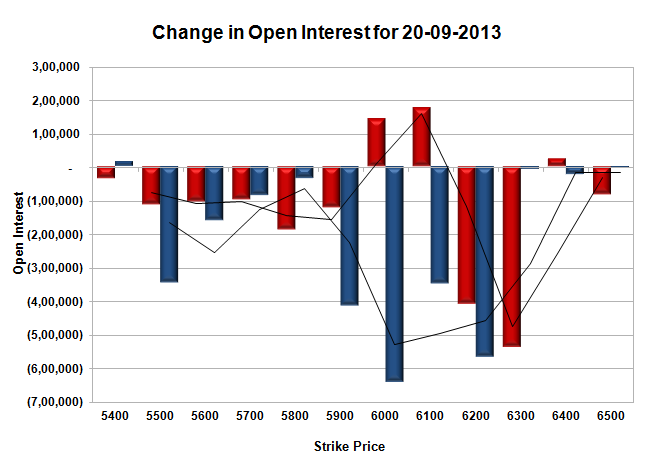 Call option 6000-6100 added 3.22 lacs huge amount of OI with short covering seen at 5900 and below strike price. 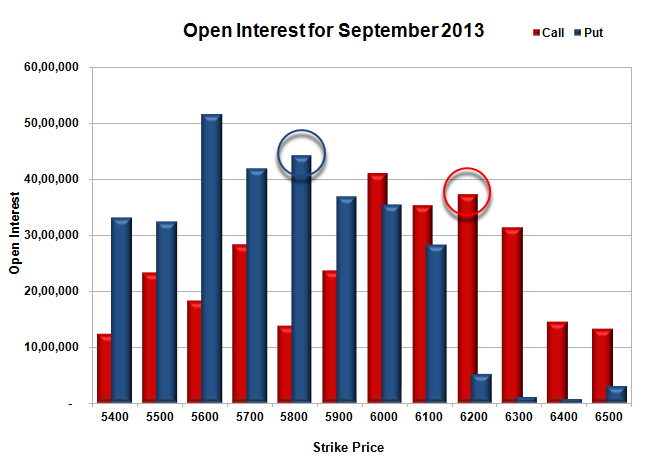 None of the Put option added OI with short covering seen at 6000 and above strike prices. Nifty Open Interest is at 1,49,24,250 down by 12,79,950, whereas October series added 5.02 lacs, with decrease in price, most probably some rollover with huge long liquidation. Bank Nifty Open Interest is at 16,28,275 down by 2,23,250, with huge decrease in price, most probably long liquidation. FII’s bought huge 6.54 lacs Futures, mostly long build-up, as their net OI increased by 10123 contracts (includes 150268 longs and 137195 shorts) and the average price per contract comes to around 5956.08. FII’s future open contract as on date is 523636. 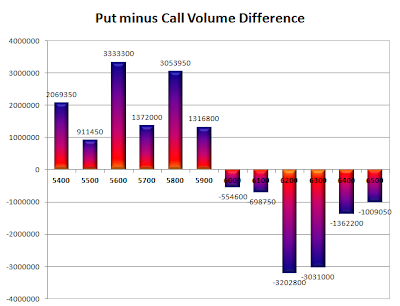 PCR Open Interest (Volume) is still good at 1.642. Initial support right now at 5900, with OI of just 36.87 lacs, below that at 5800, with huge OI of 44.35 lacs. 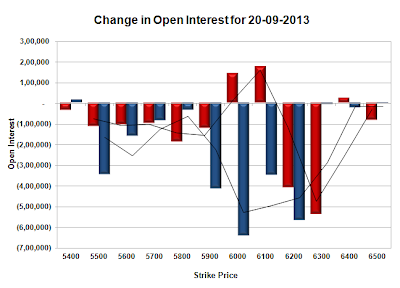 Initial resistance is now at 6100, with OI of just 35.39 lacs and above that at 6200 with OI of 37.33 lacs. Day Range as per Option Table is 5917 - 6127 and as per VIX is 5934 - 6090 with 6025 as the Pivot.